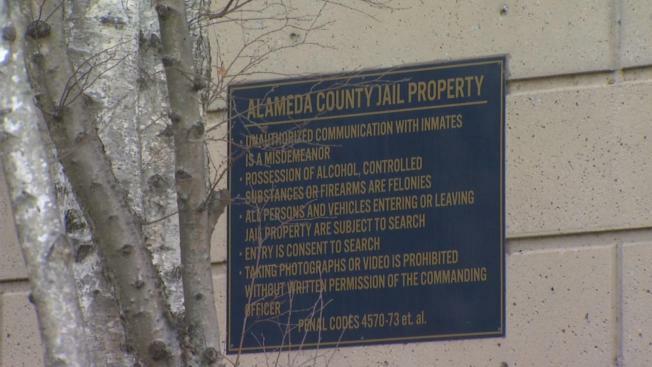 A total of 579 inmates from Butte County are now behind bars about 160 miles away in Alameda County, after they were evacuated Sunday because of fears of “catastrophic damage’ to the Lake Orovile Dam emergency spillway, the sheriff there said. Bob Redell reports. A total of 579 inmates from Butte County are now behind bars about 160 miles away in Alameda County, after they were evacuated Sunday because of fears of “catastrophic damage’ to the Lake Orovile Dam emergency spillway, the sheriff there said. This is the first time an evacuation order was issued at the jail, said Butte County Sheriff Kora Honea. The inmates were taken on five busses to the jail in Dublin, which is about a two and a half hour drive. Alameda County Sheriff’s Sgt. Ray Kelly said all the inmates are safe and are being given access to phones and other services. Friends and loved ones can call the Santa Rita Jail at 925-551-6500 or visit alamedacountysheriff.org for more information.